I am Professor of Sustainability Studies in the Department of Humanities and Director of the Program in Science, Technology, and Society at the New Jersey Institute of Technology. I am also Associate Fellow of the Tellus Institute, Associate Faculty Member with the Division of Global Affairs at Rutgers Uni­versity, and Affiliated Faculty Member with the NJIT-Rutgers Joint PhD Program in Urban Systems. During the 2015‒2016 academic year, I am a Lewis O. Kelso Fellow with the School of Management and Labor Relations at Rutgers University. I have held prior academic positions at Indiana University (School of Public and Environmental Affairs), Mansfield College (Oxford University), Binghamton University (State University of New York), and the University of Leeds (Sustainability Research Institute). I was a Visiting Researcher at the Sustainable Consumption Institute at the University of Manchester during the Fall 2014 semester and a Visiting Scholar at the Research Institute for Humanity and Nature in Japan during Summer 2015. I am the Editor of Sustainability: Science, Practice, and Policy (SSPP), an academic journal established in 2004 by the United States Geological Survey, Conservation International, and ProQuest LLC (previously Cambridge Sci­entific Abstracts. 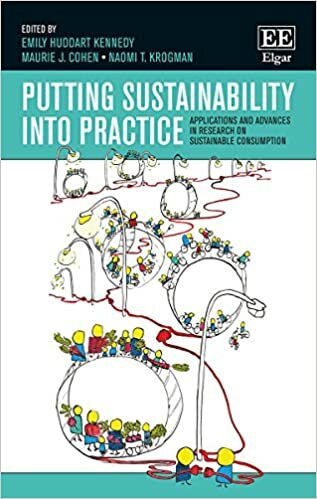 My work has helped to forge a community of practice focused on the issue of sustainable consumption (the design of policy initiatives to achieve multifold reductions in energy and material throughput at both household and macroeconomic levels). I have additionally occupied leadership positions in various trans­national academic and policy networks to advance the field and am co-founder and Executive Board Member of the Sustainable Consumption Research and Action Initiative (SCORAI), an international knowledge network of more than 800 scholars and practitioners. SCORAI has over the last few years sponsored several highly successful workshops and the output of one of these events has been published in two books: Putting Sustainability into Practice: Applications and Advances in Research on Sustainable Consumption (with Emily Huddart-Kennedy and Naomi Krogman) and Innovations in Sustainable Consumption: New Economics, Socio-technical Transitions, and Social Practices (with Halina Szejnwald Brown and Philip Vergragt). 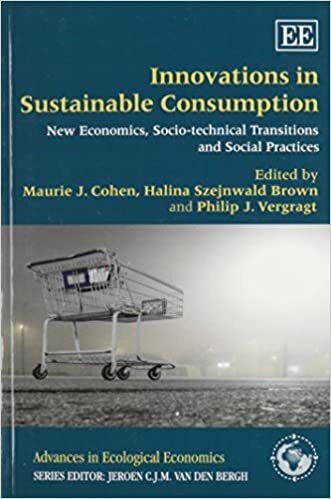 My most recent book entitled The Future of Consumer Society: Prospects for Sustainability in the New Economy was published by Oxford University Press in November 2016 and a co-edited volume (with Halina Szejnwald Brown and Philip Vergragt) called Social Change and the Coming of Post-consumer Society: Theoretical Advances and Policy Implications will be published by Routledge in March 2017. I participate regularly in activ­ities organized by various international organizations and am a frequent lecturer on the subject to industry groups and NGOs. I served in 2014 on the Task Force on Sustainable Consumption and Green Development under the auspices of the China Council for International Cooperation on Environ­ment and Development. I also serve as a Faculty Mentor for the Mountain Societies Research Institute at the University of Central Asia in Bishkek, Kyrgyz Republic. 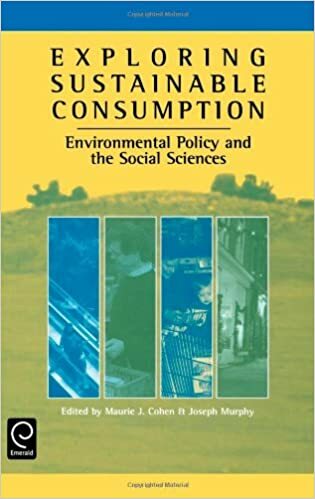 My other books include Exploring Sustainable Consumption: Environmental Policy and the Social Sciences (with Joseph Murphy), Risk in the Modern Age: Social Theory, Science, and Environmental Decision Making, and The Exxon Valdez Disaster: Readings on a Social Problem (with J. Steven Picou and Duane Gill). I hold a master’s degree in Urban Planning from Columbia University and a PhD in regional science from the University of Pennsylvania.